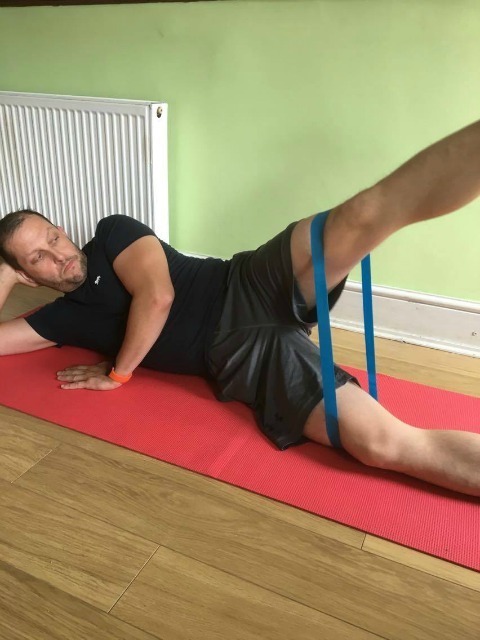 If you’re looking for some resistance band exercises for men then I hope you’ll enjoy these. I’m using a small looped resistance band and also a flat exercise band for these. I like this combination of bands as they are lightweight and can fit in any bag really, so perfect for traveling! 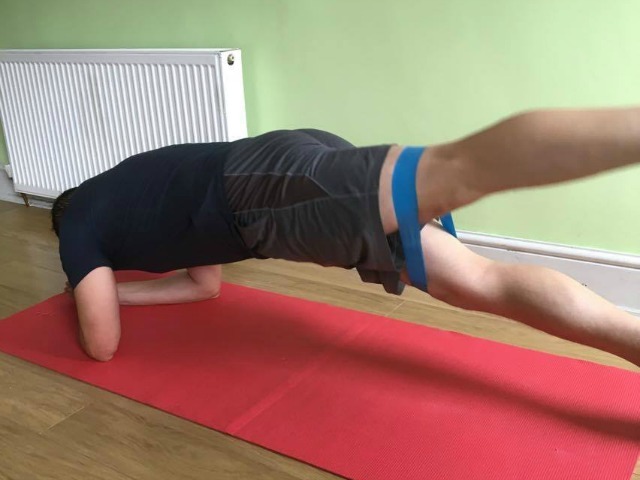 If you’d like to my recommendations for the best resistance bands check out this post here. For each of these exercises put the looped band around your legs and position it just above your knees. With the exercise band around your lower thighs do a standard squat. While in a plank, raise one leg and squeeze your glute muscles. Repeat x 10. When one side is done, repeat with the other leg. Lay on your side and raise your leg upwards. Repeat on the other side. 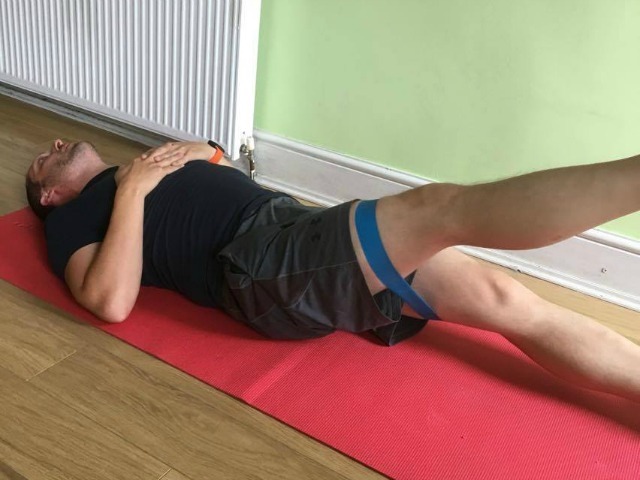 Lay flat on your back with the resistance band above your knees. Raise one leg x 10, then repeat sides. 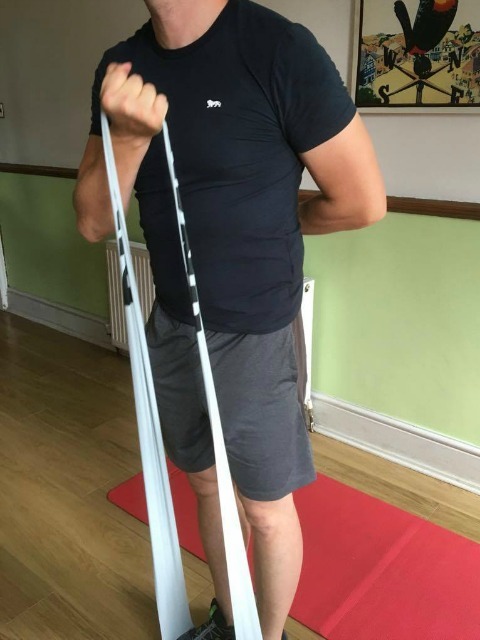 Stand on the resistance band with your feet shoulder width apart. 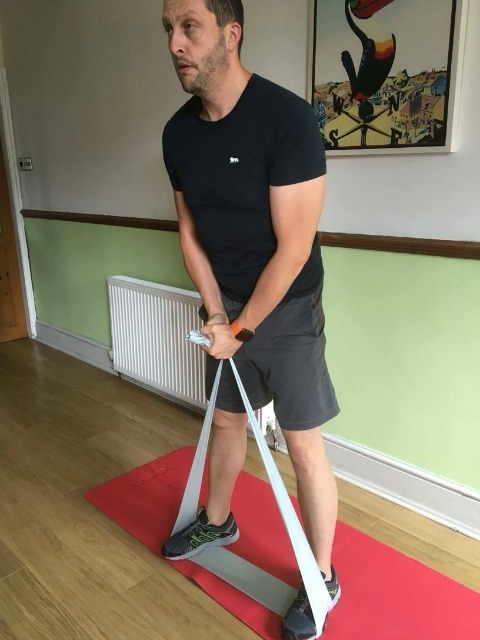 Hold the ends of the resistance band in your hand in front of you. Squat down and pull back up. The exercise band will be like doing a squat rack with weights. 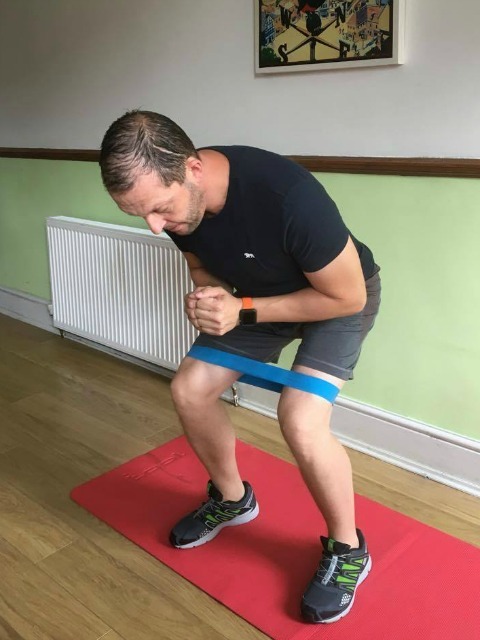 Stand on both ends of the resistance band and hold the looped end in your hand. Curl you arm as if you are doing a standard bicep curl with weights.